Just Listed :: Beautiful Pine Hills Home! Welcome Home! 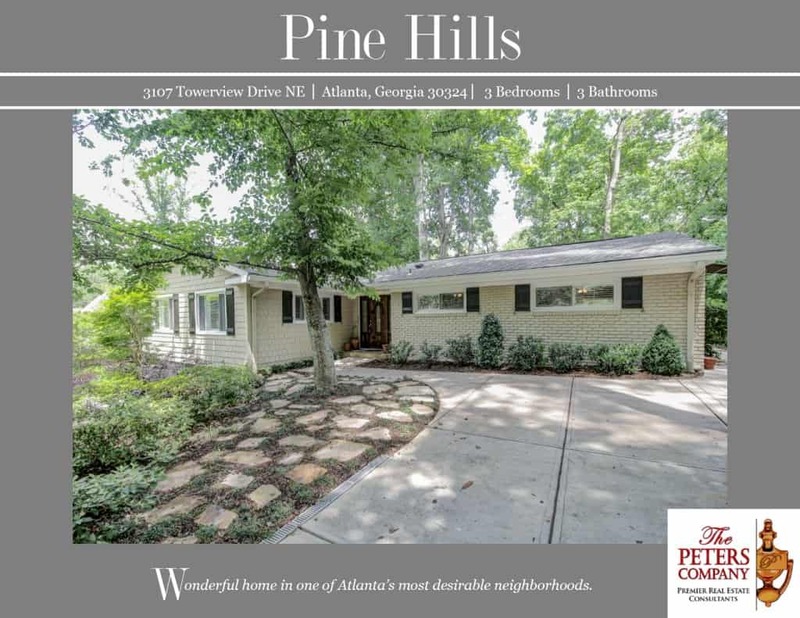 Nestled in Atlanta’s popular Pine Hills neighborhood, this home is just what you’ve been looking for! The flowing floor plan, custom features, and charming character will never go out of style. The close proximity to Peachtree Road, I-85, and GA400 makes it convenient to and from any direction. You’ll also enjoy being close to all of your favorite Buckhead and Midtown restaurants and shopping spots! Highly sought after school district includes Sarah Smith Elementary. -Open and expanded kitchen features granite countertops, stainless steel appliances, tile backsplash, breakfast bar, and pantry. -Formal dining room is perfect for entertaining guests and opens to the formal living room with cozy wood-burning fireplace. -Spacious family room boasts heated floors and tons of natural light with easy access to the back deck. -Wood plantation shutters are carried throughout the home. -Master suite is a true retreat including dual closets and a clean and crisp master bathroom with updated fixtures. -Additional bedrooms are well-sized and bright with generous closet space. -A hall bathroom has been completely renovated including a beautiful vanity and luxurious soaking tub. -Finished basement features beautiful exposed stone, multiple living spaces, extra storage, and spa-like bathroom with double vanity, Jacuzzi tub, and separate shower. -Huge deck is perfect for outdoor enjoyment and entertaining and overlooks a private and serene backyard. -Large two car garage easily fits vehicles with extra room for storage. Double driveways provide plenty of parking. -Wonderful neighborhood amenities including membership at Roxboro Valley Swim Club with a well-maintained pool, tennis courts, and playground. -Convenient location close to interstates, restaurants, and shopping. ← Just Listed :: Charming Ranch in Dunwoody Forest!